APP HAPPY? Part Two – What’s the difference? News / APP HAPPY? Part Two – What’s the difference? 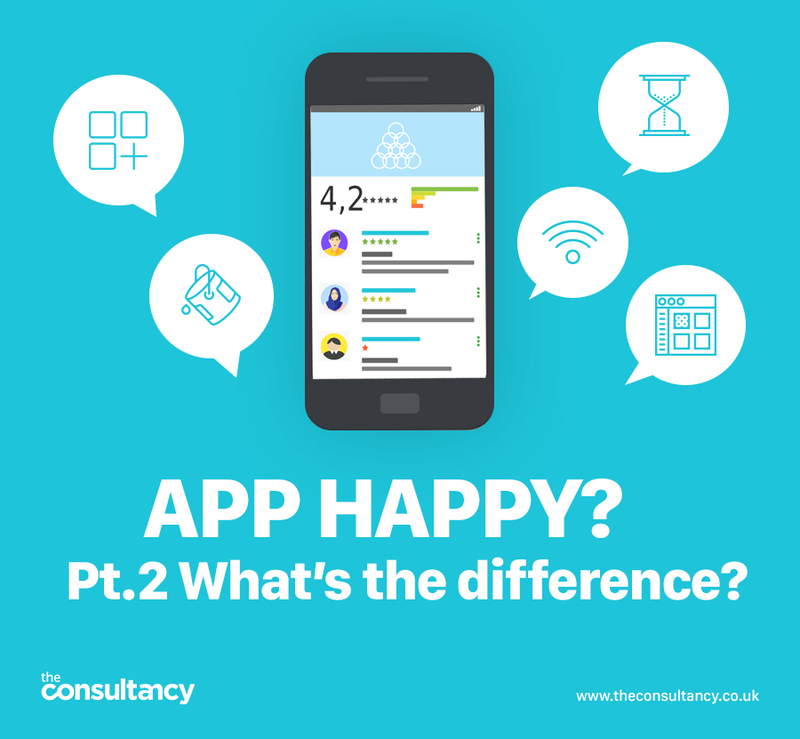 In our last blog we went back to basics with Apps, but as promised we’re now back with some of the benefits of Apps over mobile websites. Data is king… the more we know about who we want to target for customers the better the ROI. Personalisation is about offering tailored communication to users based on their interests, location, usage behaviour, and more. Feature Rich: App Happy – Snap Happy! Mobile apps have the advantage of utilising features of a mobile device like the camera, contact list, GPS etc. The device features can significantly shorten the time users take to perform a certain task in an app and can even boost conversions. Although apps too might require internet connectivity to perform most of their tasks, they can still offer basic content and functionality to users in offline mode. A mobile app can be designed with a lot of elaborate functions, based on advanced gestures like ‘tap,’ ‘swipe,’ ‘drag,’ and more. Mobile users spend 86% of their time on mobile apps and just 14% of the time on mobile websites. This difference is admittedly probably so vast because users spend the majority of their time on gaming and social media apps. However, if your app is on their screen, they are more likely to open it due to the visual prompt, than they are to go in to find your website. We’re not for one minute suggesting that we should all abandon our websites and jump ship to an App – mobile websites are still absolutely necessary in our view. However, it is always useful to look at how the market is moving and the reasons why. And most importantly, whether you are looking at a website, or an App, it has to be created with your commercial objectives in mind, but that’s another blog altogether! Watch this space!